+++SOLD+++ 563 HORSEPOWER! 0-60 IN JUST 3.5 SECONDS!! GULLWING DOORS! 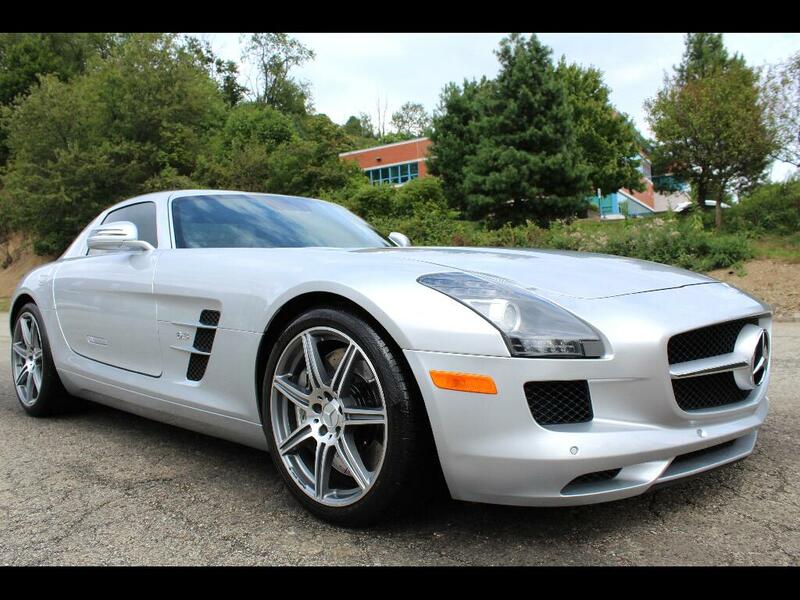 2011 MERCEDES-BENZ SLS AMG COUPE FOR SALE. OVERALL THIS SLS IS IN EXCELLENT CONDITION INSIDE AND OUT. ALWAYS SERVICED, NON-SMOKER, GARAGE KEPT. CLEAN CARFAX SHOWING 3 OWNERS NO ACCIDENTS AND 32 SERVICE RECORDS!! HIGHLY OPTIONED WITH; 6.3L V8 ENGINE, 7 SPEED AUTOMATIC TRANSMISSION, PADDLE SHIFTERS, NAVIGATION, PUSH TO START, 4 DRIVING MODES, LEATHER INTERIOR, HEATED SEATS, BACK UP CAMERA, BANG & OLUFSEN PREMIUM SOUND SYSTEM($6400 OPTION), LED MARKER LIGHTS, BI-XENON PROJECTOR HEADLIGHTS, AND MORE! 19X9.5" FRONT WHEELS AND 20X11" REAR WHEELS.THIS SLS HAS FRESH PA INSPECTION AND EMISSIONS THROUGH APRIL OF 2018! THIS CAR IS READY TO GO! COMES WITH 2 KEYS! TO VIEW THE FREE CARFAX MOST PICTURES OR VIDEO GO TO WWW.LWAUTOMOTIVE.COM. THIS SLS IS SHOWN BUY APPOINTMENT ONLY. LOCATED AT LW 1 10330 PERRY HWY WEXFORD PA 15090. WE SHIP!! AT THIS PRICE THIS CAR WILL NOT LAST. THIS IS THE CHANCE TO GET A HIGHLY COLLECTIBLE CAR.